While working in an organisation, it becomes important that we all follow a code that is defined in terms of integrity and honesty. This is the moral code of ethics that we as employees of a company need to follow. 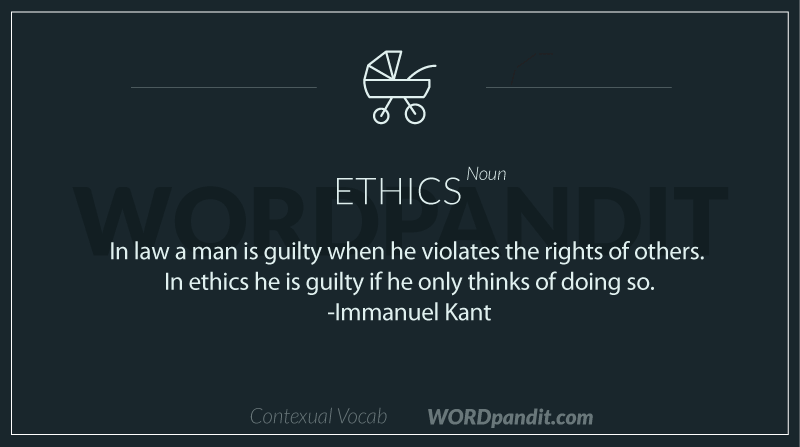 Ethics is a noun and its first usage dates back to 14th century and has originated from a Middle English word ethick. 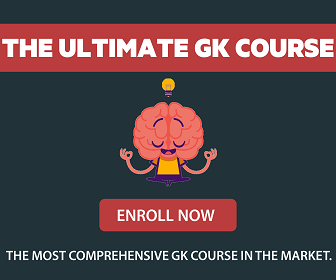 1) A set/system of principles for a culture of an individual. 2) Rules of conduct recognized in respect to a particular group. 3) A branch of philosophy dealing with values of human conduct that is also studied. 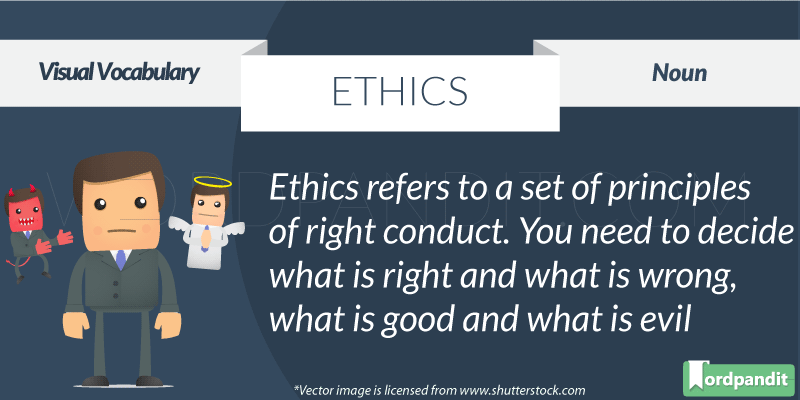 Ethics can be learnt easily by associating it with the word thick. as part of the ethics word sounds like thick (thic). 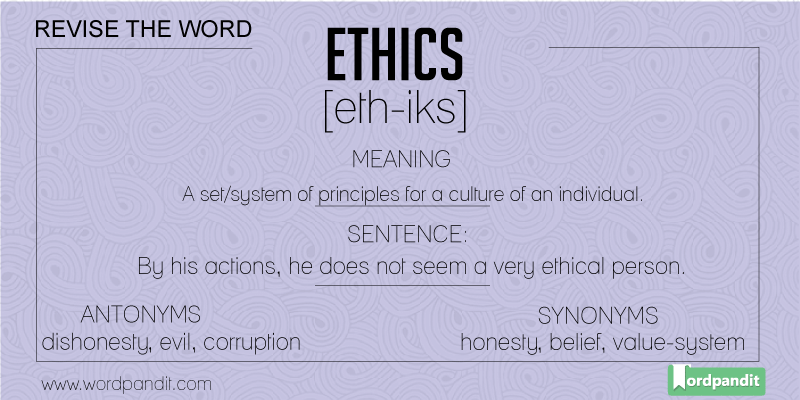 To learn this word, we can employee the following: it is a thick responsibility to stick to one’s code of ethics.